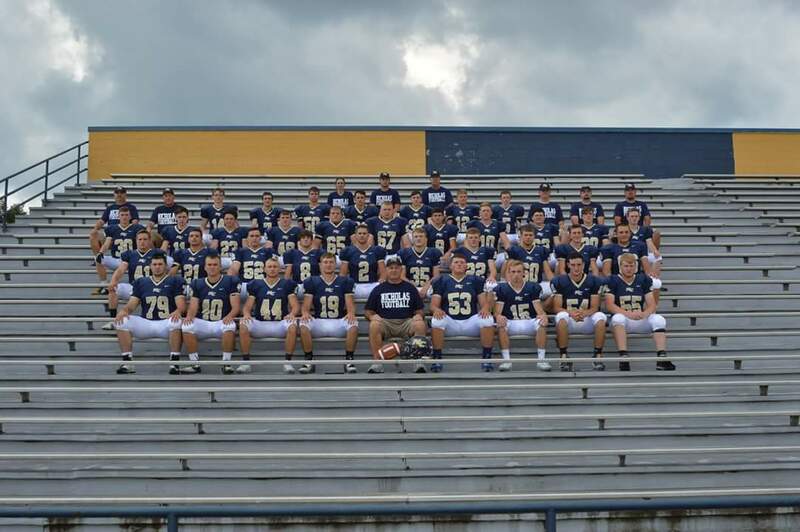 The Grizzly Football Team’s first game was on the 25th of August, 2017, against Greenbrier West. This game started the Grizzlies off with a win of 25-0. Their second game was on the 1st of September at Shady Spring High School with a win of 32-22. With their confidence from the first two wins, the Grizzlies played Wyoming East on the 8th of September on our home field and took the win yet again with a score of 42-0! With the 3-0 record, the Grizzlies traveled to Roane County on the 15th of September and added to their record another win with the score of 30-0. Then, the Grizzlies hosted James Monroe on the 29th of September with a devastating loss of 26-28. The Grizzlies traveled to Braxton County on the 6th of October looking to get back on the winning side, but the Grizzlies took their second loss with a score of 20-28. With the Grizzlies having a 5-2 record, on October 13th they traveled to Westside to fight the Renegades and earn their way back into the play-offs. Nicholas County took the win with a score of 28-14. On the 20th of October, the Midland Trail Patriots traveled to the Grizzlies’ field with an 8-0 record, expecting to make it an easy win for themselves. The Nicholas Grizzlies ended up taking a great win with the score of 34-29. On the 27th of October, the Grizzlies took on Pikeview and earned another win with the score of 45-14. That win ranked Grizzlies #10 in the AA district of West Virginia, which put the Grizzlies in the playoffs with a good look in the top 16. The Grizzlies’ last game was on the 3rd of November on their home field against Richwood Lumberjacks. The Grizzlies took the win with a dominating score of 42-7! The Nicholas Grizzlies district of the double play-offs began on the 10th of November. When the Grizzlies traveled to Clarksburg to take on Liberty Harrison for the first round of the playoffs, the grizzlies ended up going home with a loss of 7-27. That game ended the Nicholas County Grizzlies 2017 season with a record of 8 wins and 3 losses.